Cones are traditional for Christmas - easy to find and incredibly beautiful and sweet - they add comfort and warmth to the Christmas decor. 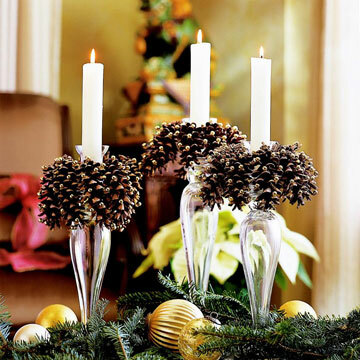 Perfect to combine with candles to create a stylish table decoration. 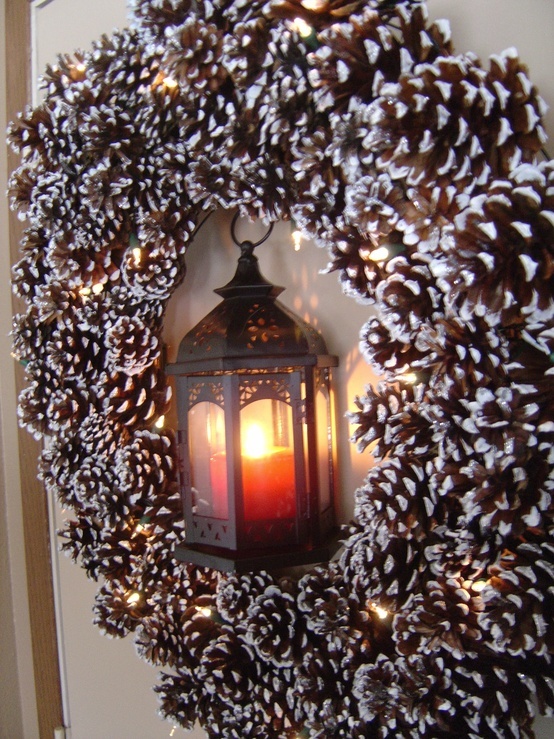 Crown of cones is a great alternative to the traditional for this holiday wreath, although you can add a few cones to the wreath you already made. 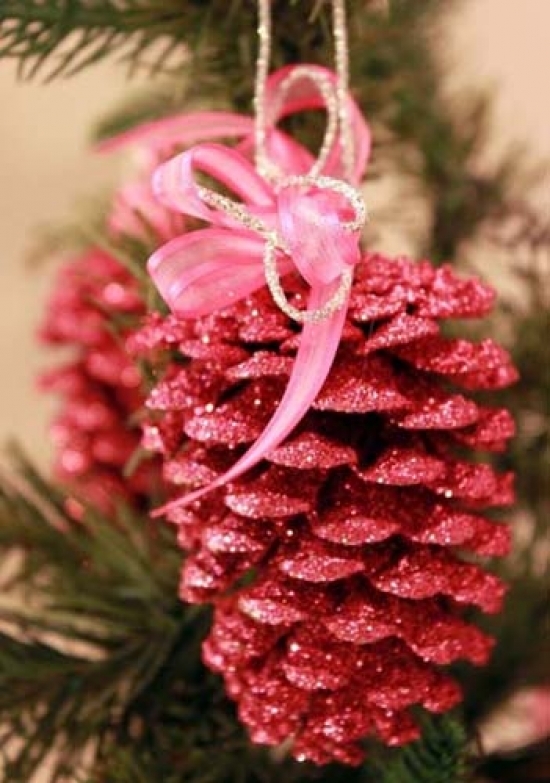 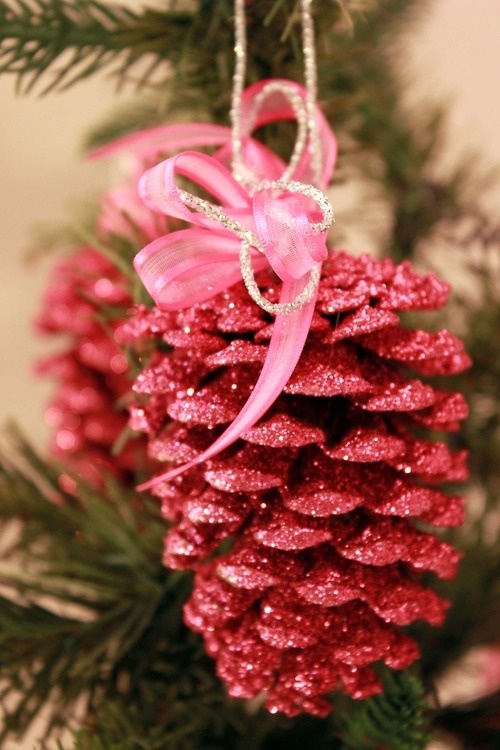 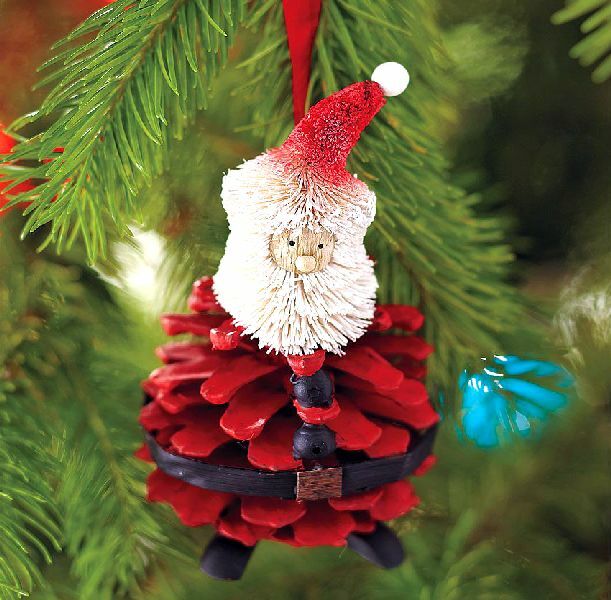 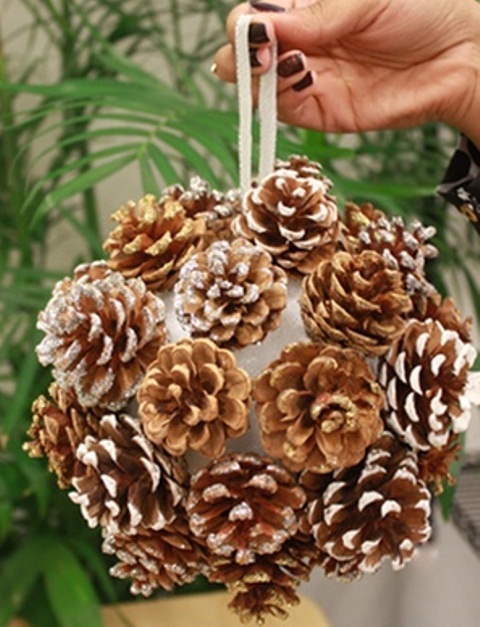 Take a few cones, paint them lightly with white or golden spray, place them in a glass bowl or large cup, and here's a beautiful Christmas accessory. 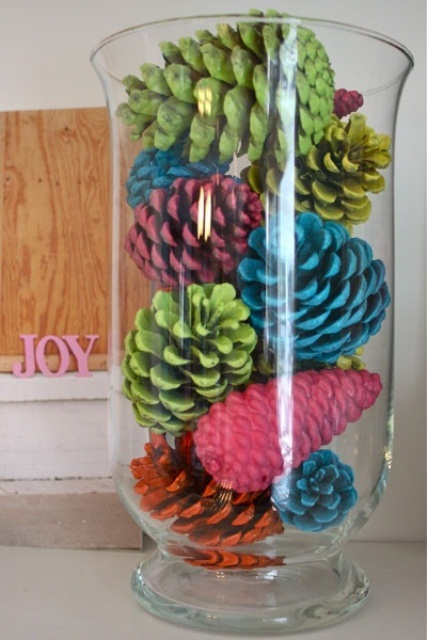 Or hang so colored cones on the Christmas tree, on the cornices of the windows or even the handles on the cabinets - cheap, easy and gorgeous. 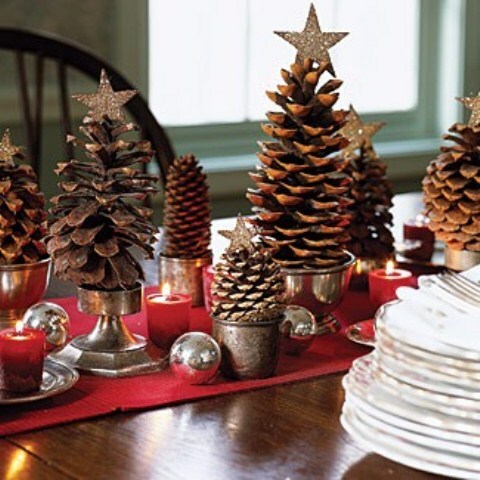 Wherever you place cones in the house this time of year - can not do it wrong. 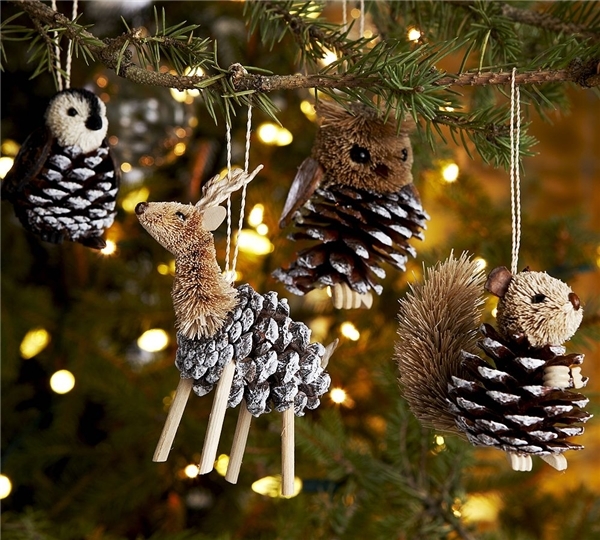 You do not have to give a lot of money for garlands, lights and so on. 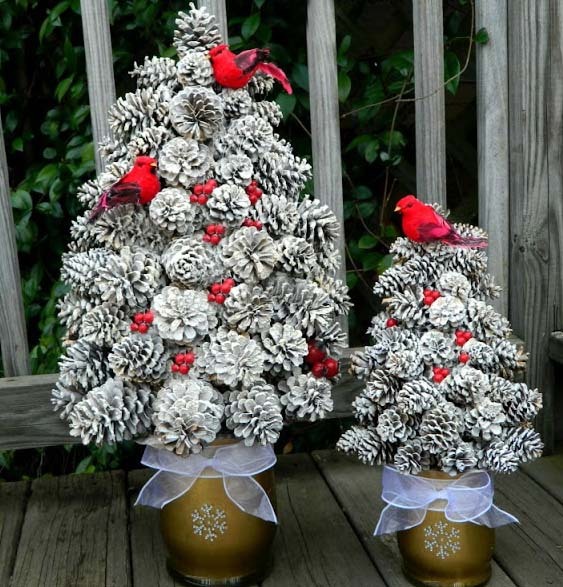 Gather the whole family, go to a nearby park, collect some cones and get together a joyous holiday, while creating a decoration for this bright holiday.